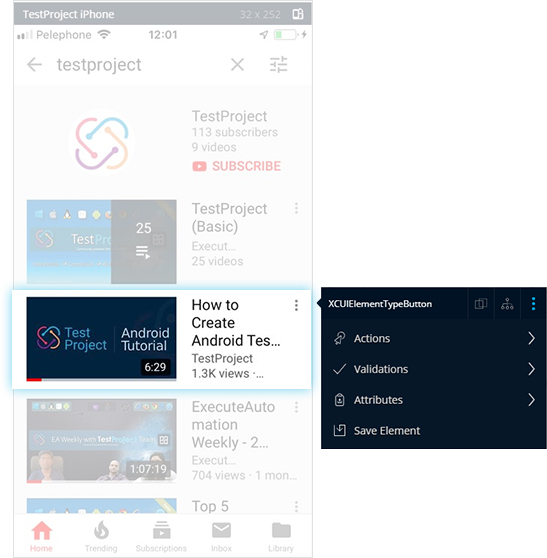 TestProject’s in-browser recorder provides a powerful set of built-in capabilities. 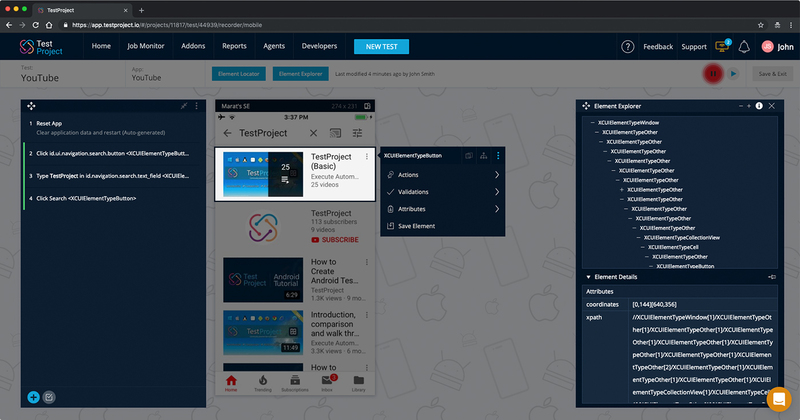 Easily create automated tests for Web, Android and iOS apps. 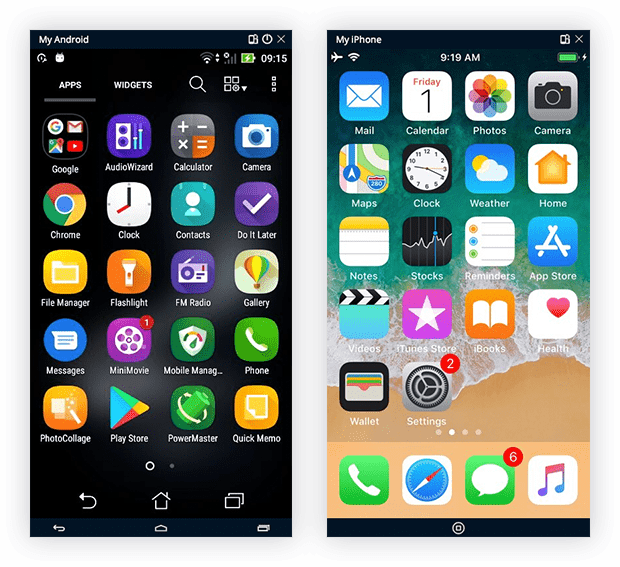 In-browser mobile device screen mirroring that provides full control over your mobile device. All you need to do is connect your device via a USB cable to your machine, and you're good to go! Inspect and evaluate any element in your app. Choose from various built-in or suggested actions, set validations, view locator strategies and save elements. 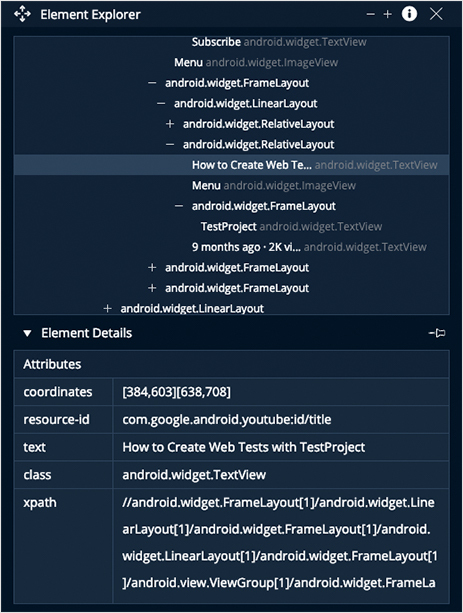 Easily view and analyze the structure of your mobile application screens. Inspect element hierarchy, choose from various locator strategies, and view all available properties of UI components. Create, edit and organize your tests. Set step comments, define types, create parameters for data-driven executions, save elements, select failure behavior, take screenshots, set timeouts and much more. Your Recorder Can Be Even Smarter! The smart recorder automatically suggests useful addons that are a perfect match for your tests, so you can install instantly and easily extend your tests. Easily create complex scenarios by executing any (recorded or coded) test as a single step. Create one robust complete test.